Texas executed Juan Castillo (pictured) on May 16, 2018, after its state courts stayed his execution to address whether his conviction and death sentence for a botched robbery and murder had been a product of false testimony, but then denied him an evidentiary hearing necessary to prove that claim. No physical evidence implicated Castillo in the murder, and he consistently asserted his innocence. To convict him, Bexar County prosecutors presented testimony from several admitted perpetrators who had been given favorable plea deals, corroborated by the testimony of prison informant, Gerardo Gutierrez, who claimed that Castillo had confessed to him. But in 2013, Gutierrez recanted, admitting in a sworn affidavit that he had lied "to try to help myself." With Castillo facing a December 2017 execution date, the Texas Court of Criminal Appeals granted him a stay on November 28, and directed the trial court to resolve his claim that prosecutors had violated his rights by presenting false or perjured testimony from Gutierrez. Two days later, on November 30, the Bexar County District Attorney's office submitted proposed findings of fact and a proposed order to deny Castillo's petition without a hearing. The next day, on December 1, Judge Maria Teresa Herr adopted the prosecution's proposed findings and order verbatim—changing only the signature line on the order—without permitting Castillo's lawyers to submit proposed findings or to respond to the prosecution's submission. The Texas Court of Criminal Appeals upheld the ruling, and with Texas prosecutors arguing that defects in the state-court process were not a basis for federal review because prisoners "ha[ve] no due process right to collateral proceedings," the U.S. Supreme Court declined to intervene. Castillo also asked the Texas Board of Pardons and Paroles and Governor Greg Abbott to stop his execution. 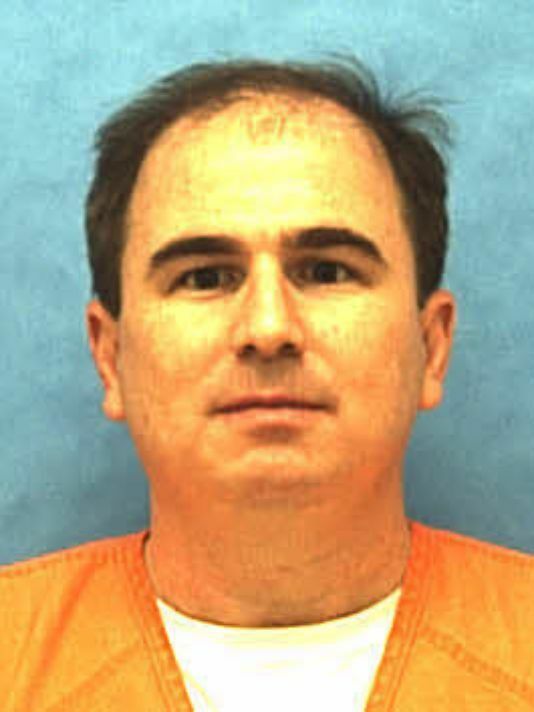 Greg Zlotnick, who represented Castillo in his clemency proceedings, argued that the treatment of Castillo's case by the courts "had been marked by unfair and arbitrary decisions" and the courts had "rubber-stamped" the denial of Castillo's latest petition "with no regard for his opportunity to be heard." Zlotnick argued that Castillo’s trial lawyers "failed to actively investigate the case, speak with witnesses, question police, request additional evidence from law enforcement and district attorney offices, and properly plead legal claims in the courts" and that the post-conviction courts had denied without a hearing Castillo's "common-sense request for DNA testing on physical evidence that could have pointed to another perpetrator." Trial counsel's performance was so bad, Zlotnick said, that "Mr. Castillo even felt compelled to represent himself at sentencing." After the pardons board denied the clemency application, the Texas Defender Service (TDS)—which became involved in the case close to the execution date—sought a 30-day reprieve from Governor Abbott to further develop evidence in the case. In a May 15 letter to the governor, executive director Amanda Marzullo wrote that TDS had discovered additional evidence that contradicted the testimony given at Castillo’s trial, including a video of a woman telling police—contrary to her prior statements—that Castillo had never told her he was the triggerman. Abbott did not act on that request. Castillo was the eleventh person executed in the United States in 2018, and the sixth in Texas. Finding that prosecutors withheld evidence that the family of murder victim Jonas Cherry opposed the death penalty for his accused killer and then lied to jurors that Cherry’s family supported the death penalty, a trial judge in Tarrant County, Texas has recommended overturning the death sentence imposed on Paul David Storey (pictured) and replacing it with a sentence of life without parole. Storey was convicted and sentenced to death in 2008 for murdering Cherry during a 2006 robbery of a Fort Worth putt-putt golf course. The victim’s parents, Glenn and Judith Cherry, told prosecutors before the trial that they did not want any of the people charged with the murder sentenced to death. But in the penalty-phase closing argument in Storey’s trial, Assistant Tarrant County District Attorney Christy Jack told the jury "[i]t should go without saying that all of Jonas [Cherry’s] family and everyone who loved him believe the death penalty [is] appropriate.” In March 2017, Cherry’s parents sought clemency for their son’s killer. 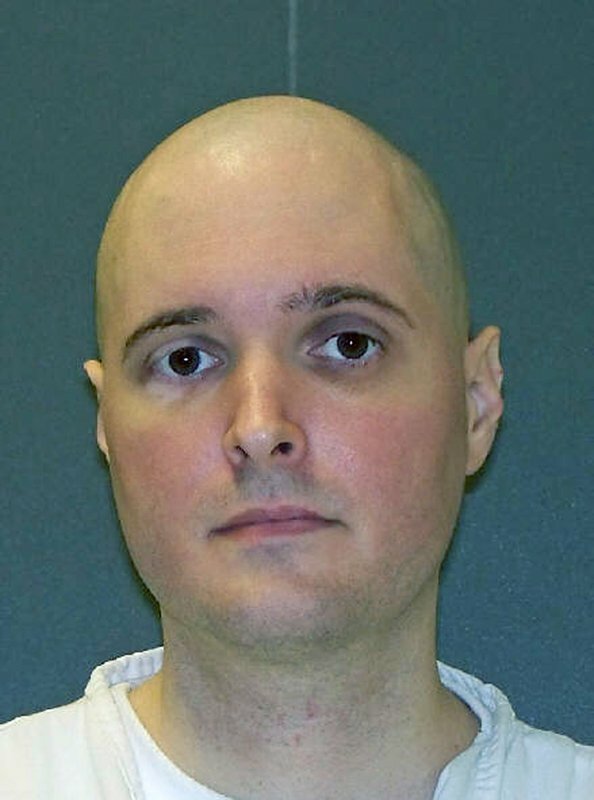 In a letter to Governor Greg Abbott, they wrote that, as a result of their “ethical and spiritual values,” they strongly oppose the death penalty, and said “[w]e do not want to see another family having to suffer through losing a child and family member.” Storey’s execution, they wrote, “will not bring our son back, will not atone for the loss of our son and will not bring comfort or closure.” On April 7, 2017, less than a week before Storey was scheduled for execution, the Texas Court of Criminal Appeals issued a stay and ordered the trial court to determine whether the prosecution had knowingly misled the jury about the family’s views. After hearing testimony from nineteen witnesses, Judge Everett Young found that the prosecutor’s argument was false, that Jack had “made the argument intending it to affect the jury's verdict,” and that she “was aware of [its] falsity” when she did so. Concluding that “the false argument was reasonably likely to affect the jury's verdict,” Judge Young held that the argument violated Storey’s right to due process and that the prosecutors’ suppression of evidence relating to the Cherry family’s views violated their duty to disclose evidence favorable to the defense. The court also ruled that “[t]he false argument ... had the effect of reducing the responsibility of jurors by inviting them to acquiesce to the falsely-asserted desire of the victim's family for death,” in violation of the Eighth Amendment. The Tarrant County District Attorney’s office had argued that even if the argument had been improper, Storey had not timely raised the claim in the Texas courts. The court ruled, however, that the state had “unclean hands due to its suppression ... and false use of the evidence and had forfeited that argument. It wrote: “Because the State secreted evidence it was legally required to disclose, it cannot benefit from its wrong-doing by faulting [defense] counsel for failing to discover its own misconduct.” The case now returns to the Texas Court of Criminal Appeals, which may accept or reject the judge’s findings and sentencing recommendation. “Basically, it is now up to the Court of Criminal Appeals,” said Keith Hampton, a member of Storey’s legal team. As legislators and the media have pressed Nebraska for information on its secretive execution practices, the executive branch has responded—the state's leading newspapers say—with obfuscation and with a lawsuit that has created a state constitutional crisis. After adopting a new execution policy that the Lincoln Journal Star reported "was written in a single draft without input from the governor, attorney general, Corrections director, outside experts or other state officials," the state Department of Correctional Services has drawn harsh criticism and multiple lawsuits for refusing to disclose information about its execution process to lawmakers, the media, advocacy groups, and prisoners. And after the state legislature issued a subpoena that would require Director Scott Frakes (pictured) to testify about the Department's latest efforts to obtain execution drugs and to respond to allegations that it has not complied with federal drug laws on the handling of controlled substances, state Attorney General Doug Peterson sued the legislature to block Frakes from testifying. The Department's most recent refusals to release information—after having lost $54,400 in taxpayer money in a failed attempt to illegally import execution drugs from India—prompted lawsuits from legal advocacy groups, lawmakers, and prisoners demanding protocol transparency. Senator Ernie Chambers, a long-time opponent of capital punishment, filed a formal complaint with the legislature's Executive Board alleging, among other things, that the state's execution protocol violates federal requirements for handling controlled substances and that its refusal to provide information on the lethal-injection drugs violates the Nebraska Public Records Act. In an editorial, the Omaha World-Herald wrote: "The Nebraska news media and members of the Legislature have raised legitimate questions on that score. They’ve asked the state Department of Correctional Services for information involving its purchase of death penalty drugs and its planned procedure for carrying out an execution, to ensure the applicable laws and procedures were all followed. So far, the department has refused to provide answers. Its message, instead, has been: Just trust us. That’s not good enough." A Journal Star editorial criticized executive branch officials for "hypocritically refus[ing]" to subject themselves to public scrutiny. "We don’t know where the state obtained its lethal injection drugs," the editors wrote. "We don’t know how the four-drug cocktail was tested. All we have ... is Corrections’ word that they were done in accordance with the law. Given the state’s costly failed attempts to illegally buy execution drugs overseas, that alone is not good enough." The editorial board said accountability means more than just punishing those convicted of murder. "Accountability must also extend to the state officials responsible for implementing and carrying out capital punishment. ... Before Nebraska can hold convicted killers accountable, it first must do so for itself – something it’s shown more interest in obfuscating than pursuing." The Omaha World-Herald encapsulated the issue as follows: "Is the state following the law in all respects regarding the death penalty, or isn’t it? State officials should stop trying to sidestep this central issue. For the sake of the public interest and respect for the law, they need to answer that question in full." 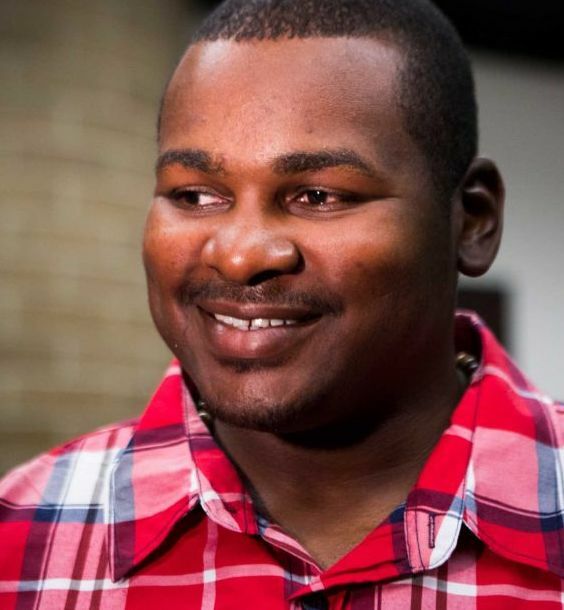 In 2005, Alfred Dewayne Brown (pictured left) was wrongly convicted and sentenced to death for the murder of a Houston, Texas police officer based on false testimony Harris County prosecutors obtained through coercion and threats. After spending a decade on death row for a crime he did not commit, Brown was finally released with the help of his attorney Brian Stolarz (pictured right), who is the guest on DPIC's latest podcast and author of Grace and Justice on Death Row, a book about Brown's case. Stolarz, who represented Brown in post-conviction proceedings, tells the story of his "decade-plus long journey to help out this one man." In the discussion, Stolarz describes how he and his team realized upon investigation that every witness had been "pressured and frightened" by the prosecutor—who used tactics such as threatening to charge witnesses with crimes—in order to secure Brown's conviction. Stolarz calls this Harris County's "culture of conviction." Brown's girlfriend, Erica Dockery, who had initially testified before the grand jury that Brown was at her apartment at the time of the crime, became a critical witness against Brown. As Stolarz explains, Dockery's choice to "abandon the truth," commit perjury, and testify against Brown came only after the prosecutor brought a baseless perjury charge against her for her truthful grand jury testimony and jailed her with a bond so high she couldn't pay it. In what Stolarz describes as "luck," the retired case detective found a box from the case while "spring cleaning his garage," and the box contained phone records that supported Dockery's initial testimony and consequently Brown's alibi. This evidence, along with other witness recantations, helped win Brown's release in June 2015. Although Brown has been free for almost three years, Stolarz explains that his fight for justice is still ongoing, as he seeks compensation for his unjust conviction. Before Brown can be compensated under Texas state law, the District Attorney must sign a formal declaration finding him innocent and prosecutors had opposed such a declaration. The podcast was recorded in April 2018, several weeks after recent revelations that Dan Rizzo, the assistant district attorney who prosecuted Brown, had received an email informing him that the phone records proved Dockery was telling the truth about Brown's alibi before he charged her with perjury and prosecuted Brown for murder based on false testimony. Since the time of podcast recording, the current Harris County District Attorney, Kim Ogg, has appointed a special prosecutor to investigate Brown's innocence. Ogg said the recent discovery of the email showing Rizzo knew years before trial that Brown's alibi checked out "brought clarity to a very hotly contested allegation as to whether or not [suppressing that evidence from the defense] was intentionally done, whether it was done to obtain a guilty verdict at any cost." Ogg said she believed the email "tended to show Brown's innocence, and not just his lack of guilt." Three powerful new documentaries that explore the modern death penalty in the United States are set to premiere this April. Oscar-winning actress Viola Davis and Julius Tennon are executive producers of The Last Defense, a new documentary series premiering for the first time at the 2018 Tribeca Film Festival on April 27. The seven-episode documentary series exposes flaws in the U.S. justice system through the personal narratives of death row prisoners Darlie Routier and Julius Jones, both whom maintain their innocence, and premieres June 12 on ABC. 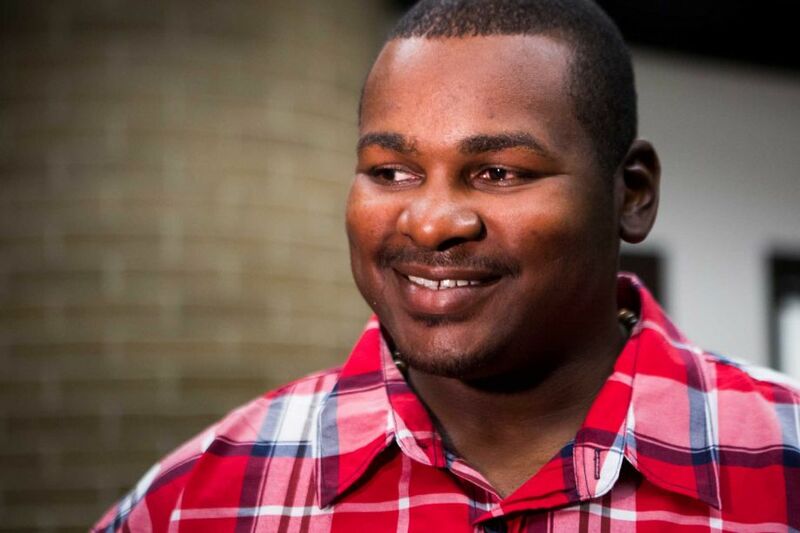 On April 30, PBS will air the television premiere of Jamie Meltzer's documentary True Conviction, which follows the detective agency started by Christopher Scott, the late Johnnie Lindsey, and Steven Phill—three wrongly convicted Dallas men who were exonerated after spending a combined 60 years in prison—as they work to attempt to free death-sentenced Max Soffar and other wrongly convicted prisoners. Barry Scheck and Peter Neufeld, co-founders and co-directors of the Innocence Project have hailed the film as "unprecedented" in its approach, "focusing on the experiences of a group of exonerees who are themselves learning to investigate" and "highlight[ing] the challenges and roadblocks of investigating and proving another man’s innocence." The film premiered at the 2017 Tribeca Film Festival and was awarded a Special Jury Mention in the Best Documentary Category. On April 11, the American University School of Communications premiered excerpts of another documentary film, In the Executioner's Shadow, produced by AU professors Maggie Burnette Stogner and Richard Stack. That documentary weaves the intersecting stories of Vicki and Syl Scheiber, whose daughter was murdered, Boston Marathon bombing survivor Karen Brassard, and former Virginia state executioner Jerry Givens, who had carried out 62 executions, as they grapple with moral and personal issues arising from their involvement in capital punishment. In a panel discussion moderated by the producers, Diann Rust-Tierney, Executive Director of the National Coalition to Abolish the Death Penalty, joined the film's protagonists in discussing those issues. 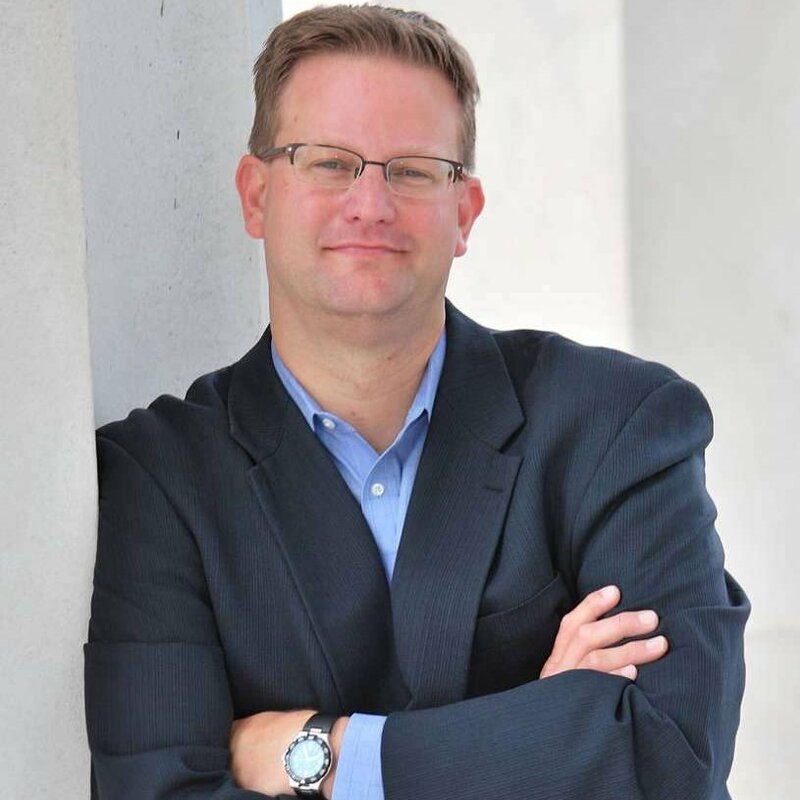 Stack is a former public defender and author of two books on the death penalty Dead Wrong: Violence, Vengeance, and the Victims of Capital Punishment and Grave Injustice: Unearthing Wrongful Executions. He said he hopes the film will spark dialogue on the complex subject. "We've discovered through our various interviews that one side talks past the other. It's a mutual predicament. And we're trying to get people to talk to each other," Stack said. Following a screening of the first hour of the Julius Jones case in The Last Defense, the producers will lead a panel discussion with death-penalty lawyer Dale Baich. 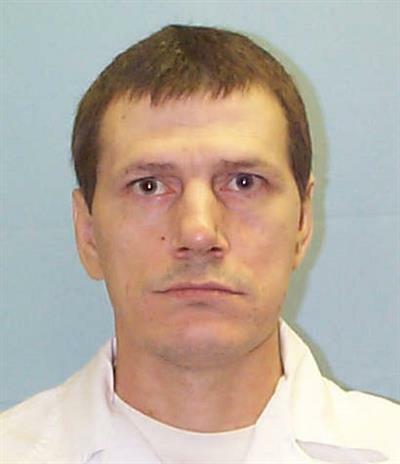 In a decision that clarifies the showing indigent prisoners must make to obtain investigative services, the U.S. Supreme Court has ruled in favor of a Texas death-row prisoner who was denied funding to challenge the death sentence imposed in his case. In Ayestas v. Davis, the Court unanimously ruled that the Texas federal courts had applied an overly restrictive legal standard in denying Carlos Ayestas (pictured) funding to investigate and develop his claim that his lawyer had provided ineffective representation in the penalty phase of his trial. Federal law requires habeas-corpus courts in death-penalty cases to provide funding that is "reasonably necessary" to the petitioner's case. The U.S. Court of Appeals for the Fifth Circuit, however, has instead required indigent applicants to demonstrate a "substantial need" for funding. The Court returned the case to the federal appeals court to reconsider Ayestas's request for funding using the proper standard. Ayestas, a 48-year-old Honduran national, was sentenced to death in Harris County, Texas in 1997. His trial counsel conducted virtually no life-history investigation and presented a case for life to the jury that lasted just two minutes and included only a single letter from an English teacher in prison. Both his trial and state post-conviction lawyers overlooked available evidence of mental illness and brain damage—including head trauma and substance abuse—and failed to develop a record of the mitigating evidence that his federal habeas lawyers argued should have been presented in his case. The lawyers appointed to represent Ayestas in federal court sought funding to investigate his background, upbringing, and mental health history, without which, they argued, he would be unable to discover mitigating evidence indispensable to presenting a meaningful case to spare his life. The Texas federal district court, applying the Fifth Circuit's "substantial need" test, denied him funding and dismissed his habeas corpus petition, and the Fifth Circuit affirmed. Justice Samuel Alito, writing for a unanimous Supreme Court, reversed and ordered the federal appellate court to reconsider Ayestas's request for funding. In determining whether a funding request is "reasonably necessary" to the petitioner's case, Justice Alito wrote, federal courts courts should assess "whether a reasonable attorney would regard the services as sufficiently important." This standard "requires courts to consider the potential merit of the claims that the applicant wants to pursue, the likelihood that the services will generate useful and admissible evidence, and the prospect that the applicant will be able to clear any procedural hurdles standing in the way." In a concurring opinion, Justice Sonia Sotomayor, joined by Justice Ruth Bader Ginsburg, wrote "to explain why, on the record before this Court, there should be little doubt" that Ayestas had already made a showing sufficient to obtain funding. Trial counsel's obligation to thoroughly investigate possible mental illness, she wrote, "exists in part precisely because it is all too common for individuals to go years battling an undiagnosed and untreated mental illness. ... [T]he troubling failures of counsel at both the trial and state postconviction stages of Ayestas’ case are exactly the types of facts that should prompt courts to afford investigatory services, to ensure that trial errors that go to a 'bedrock principle in our justice system' do not go unaddressed." Three states—Alabama, Florida, and Texas—prepared to carry out controversial executions on Thursday, February 22, all scheduled for 7 PM Eastern time, but by the end of the night, two had been halted. Less than an hour before his scheduled execution, and after having said a final good-bye to his anguished father, Texas death-row prisoner Thomas "Bart" Whitaker (pictured, left) learned that Governor Greg Abbott had commuted his death sentence to life in prison. Minutes later, Florida executed Eric Branch (pictured, center), despite undisputed evidence that he had been unconstitutionally sentenced to death. He was pronounced dead at 7:05 p.m. And nearing midnight Central time, two-and-one-half hours after a divided U.S. Supreme Court had given Alabama the go-ahead to execute terminally ill Doyle Hamm (pictured, right) corrections commissioner Jeff Dunn called off the execution saying prison personnel did not have "sufficient time" to find a suitable vein in which to place the intravenous execution line before the death warrant expired. For Texas, it was the first time in more than a decade and only the third time since the death penalty was reinstated in 1976, that any governor had granted clemency to a condemned prisoner. The Texas commutation came after a unanimous recommendation by the parole board, support from the only living victim, Whitaker's father, and various state lawmakers. In explaining his grant of clemency—the first time Gov. Abbott had commuted any death sentence—the Governor cited the fact that Whitaker's codefendant, the triggerperson, did not get the death penalty, the victim "passionately opposed the execution," and Whitaker had waived any possibility of parole and would spend the remainder of his life in prison. The final-hour commutation was relayed to Whitaker in the holding cell next to the death chamber, as he was preparing to be executed. Florida executed Eric Branch despite the fact that a judge sentenced him death after two of his jurors had voted for life and the jury had been told not to record the findings that would make Branch eligible for the death penalty. Both of those practices have now been found unconstitutional. In Hurst v. Florida, decided in 2016, the U.S. Supreme Court reiterated that a capital defendant's right to a jury trial includes the right to have a jury find all facts necessary for the state to impose the death penalty, and later that year, the Florida Supreme Court declared that the Sixth Amendment and the Florida constitution require jury sentencing verdicts to be unanimous. Alabama had been warned that, because of his terminal cancer and prior history of drug use, Doyle Hamm's veins were not accessible and therefore an attempt to execute him via intravenous injection would be cruel and unusual. After the U.S. Supreme Court issued a temporary stay at 6:00pm CT, followed by a full denial of a stay with dissents from Justices Breyer, Ginsburg, and Sotomayor around 9:00pm CT, Alabama started preparing to carry out Hamm's execution. After more than two-and-a-half hours, the state called it off. At a news conference immediately thereafter, Commissioner Dunn repeatedly asserted the state had followed its execution protocol, and said "I wouldn’t characterize what we had tonight as a problem.” Dunn was unable to describe what the state had been doing during the time that Hamm was being prepared for the lethal injection and dismissed questions about failed attempts to set the IV lines saying he was not qualified to answer medical questions. He said he could not tell reporters how long the medical personnel had attempted to establish IV access because "I am not back there with the staff." Alabama keeps its protocol secret, making it impossible to verify the state's assertions. Hamm's attorney Bernard Harcourt, who—like all witnesses—was not permitted to view the IV insertion portion of the execution, speculated that prison personnel could not find a vein and called the process "[s]imply unconscionable." On the morning of February 23, Harcourt filed an emergency motion saying that Hamm had "endured over two-and-a-half hours of attempted venous access" and seeking a hearing to "establish exactly what happened" during that time frame. The federal district court scheduled a hearing on the issue for Monday, February 26.